What’s Up with ACICS Colleges? The Accrediting Council for Independent Colleges and Schools (ACICS) may be fighting for its life in the courts, but the schools it oversees have almost universally started moving on. Just seven institutions that the troubled accreditation agency oversees appear to be at risk of losing access to federal financial aid this month, according to data obtained from the U.S. Department of Education through a Freedom of Information Act request. The data that the Center for American Progress obtained provide the best picture to date on which accreditors the various schools are trying to get approval from. For example, the best known of the troubled institutional brands that still had ACICS campuses—the Art Institutes—is trying to obtain approval from the Middle States Commission on Higher Education. Several institutions that have faced investigations from state or federal actors, meanwhile, are trying to switch to the Accrediting Bureau of Health Education Schools. The Accrediting Council for Continuing Education and Training (ACCET) will be considering one of ACICS’ largest remaining chains as well as a group of schools owned by a private equity company where Secretary of Education Betsy DeVos had investments. Keeping an eye on what happens to these schools and others over the coming months will be important for ensuring that institutions are truly meeting higher standards from other accreditors and not slipping through the cracks. For years, ACICS served as a rubber stamp for access to federal financial aid programs. As an accreditation agency, its job was to verify the quality of postsecondary institutions so that these schools could offer federal grants and loans to their students. But a CAP analysis showed that ACICS was often willing to look the other way when problems arose and even honored schools that faced federal and state investigations for alleged wrongdoing. Recognizing the host of unacceptable problems at ACICS, the Department of Education terminated the agency’s ability to act as a gatekeeper to federal funds in December 2016. While ACICS continues to litigate this decision, the roughly 269 institutions it oversaw have, by law, up to 18 months to find a new accreditor. Recognizing that giving schools a full year and a half without oversight from an approved accreditation agency represented a risk to taxpayer dollars, the Department of Education established several deadlines institutions had to meet over roughly a year to maintain their access to federal financial aid. The first of these was March 13. By then, institutions had to show they had an application in process with another accreditor. Those that do not have an application pending had to submit a teach-out plan—a document that lays out what would happen to students if the school closes—and also tell students that they had not applied to a new accreditor and could lose access to federal financial aid as a result. These schools will lose access to federal financial aid for new students if they still do not have an in-process application by June 12. What are ACICS schools trying to do? Only seven ACICS schools appear to be at risk of losing their access to financial aid next month, according to the data. Three of them (Broadview University in Utah, Global Health College in Virginia, and Trinity College of Puerto Rico) do not have an in process application but have implemented teach-out plans and student disclosures. Another four (Jose Maria Vargas University in Florida, Pacific Institute of Technology in Georgia, SOLEX College in Illinois, and School of Communication Arts of North Carolina) have failed to meet all the required terms. Overall, these seven schools are quite small, with a combined enrollment of just under 3,300. The more interesting story, then, is what is going on with the rest of the ACICS schools. Which ones are planning to close? And for those that aren’t closing, which accreditation agencies are they pinning their hopes on? Apart from the department’s action, a large number of ACICS schools had already either closed, announced plans to close, or lost access to federal financial aid. All told, 52 institutions enrolling 159,000 students fell into these categories. * This includes institutions such as ITT Technical Institute , which shut down in September after the Department of Education banned it from providing federal aid to new students, or Minnesota School of Business and Globe University, which both lost access to federal financial aid after a judge found they had committed fraud involving these programs and several appeals were unsuccessful. Only eight schools, enrolling 7,500 students, have closed since the department’s decision to terminate ACICS’ recognition. However, it is not clear if they might have closed anyway due to the broader financial challenges facing the sector. Eleven institutions enrolling 25,000 students, meanwhile, have already obtained a new accreditor. * All but one of these schools applied for a new accreditor prior to the December termination of ACICS’ recognition. The most noteworthy of these schools is Ultimate Medical Academy, a Florida institution run by former executives from Trump University. It obtained accreditation from the Accrediting Bureau of Health Education Schools (ABHES). Notably, the Trump administration recently overruled a recommendation from an expert panel to reject a request from ABHES to approve master’s degree programs. That means schools with approval from this accreditor can now operate at the graduate level, where the amounts of federal debt a student can take on are much greater. Excluding closures and already successful accreditation moves leaves 199 schools enrolling 339,000 students with active applications at other accreditation agencies. Of these schools, 134 enrolling 221,000 students applied to one of two agencies: 47 schools enrolling around 114,000 students applied to the Accrediting Council for Continuing Education and Training (ACCET), while 87 institutions enrolling approximately 108,000 students applied to the Accrediting Commission for Career Schools and Colleges (ACCSC). This count reflects unduplicated 12-month enrollment and includes some schools, such as campuses formerly owned by Corinthian Colleges, which had already applied for accreditation at a different agency before the Department of Education’s action. When it lost recognition, ACICS oversaw several colleges that faced investigations and settlements. Though many of those institutions have since closed or been sold, here’s the status of the remaining schools: National College and Spencerian College are all applying to ABHES. These two schools were both sued by the Kentucky attorney general in 2011 and 2013 for allegedly misrepresenting job placement rates. The Spencerian case is still ongoing. National College, meanwhile, paid a fine in 2016 for failing to respond to a subpoena. Similarly, Salter College, which settled with the Massachusetts attorney general in 2014 over allegations regarding job placement, is applying to ACCET. Meanwhile, Daymar College, Fortis Institute, and Lincoln Technical Institute are all trying to move to ACCSC. Daymar College settled with the Kentucky attorney general in 2016 over allegations that included misrepresentation of credits. Fortis College, which is operated by Education Affiliates Inc., is also trying to move to ACCSC. In 2013, Education Affiliates settled with the Department of Justice for $13 million over allegations mostly at campuses not accredited by ACICS about providing financial aid to ineligible students. 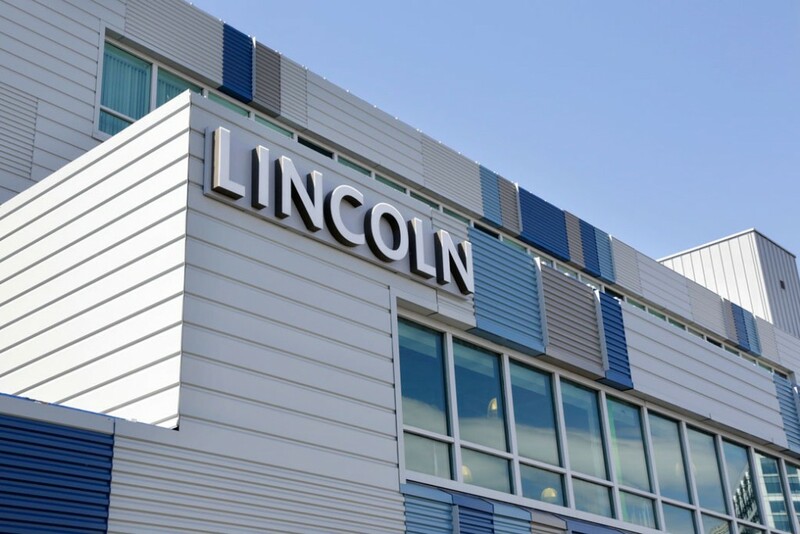 Finally, Lincoln Technical Institute settled with the Massachusetts attorney general in 2015 over allegations that it improperly calculated job placement rates. None of the schools mentioned above admitted to any wrongdoing. The moves of a few other schools merit particular mention. One is the campuses owned by the Education Corporation of America (ECA), which are trying to move to ACCET. These campuses operate under the brands Brightwood and Virginia College. These schools enroll almost 60,000 students, and ECA is one of the largest companies that is not publicly traded and has ACICS accreditation. The move to ACCET is interesting because several of the Brightwood campuses used to operate under the Kaplan brand. Many of those campuses had switched to ACICS after facing sanctions for failing to meet certain requirements for student outcomes at ACCSC and the Council on Occupational Education. The Delta Career Education Corporation schools are also looking to move to ACCET. These operate under the brands of Miller-Motte, McCann School of Business, Berks Technical Institute, and Tucson College. They are owned by a private equity firm where Secretary DeVos had invested. All of the Delta schools applied for accreditation with ACCET on March 10, 2017—two days before the department’s deadline. Even though ACICS operated as a national accreditor—meaning schools from any part of the country could apply for recognition—17 schools are now seeking accreditation from regional agencies. The Western Association of Schools and Colleges (WASC) Senior College and University Commission has the most of these applicants with eight. The most noteworthy applicant, however, is the Art Institutes, which is trying to get approval with the Middle States Commission on Higher Education—the agency that oversees the Mid-Atlantic. The Art Institutes are part of the Education Management Corporation (EDMC), which has settled lawsuits over the years for alleged wrongdoing related to recruitment, among other issues, but has never admitted to wrongdoing. Other Art Institute branches already have Middle States accreditation, so the move is not particularly surprising. It does matter, though, because EDMC is currently trying to sell itself to a small nonprofit organization based in California, and the timing of any potential accreditation switch could affect whether ACICS also has to sign off on the sale. Can ABHES and ACCET handle this growth? Though not as extreme as the ACCET case, ABHES is also poised to grow significantly. It is considering 28 additional schools at 59 locations. That’s an increase of 27 percent and 34 percent, respectively. The initial March deadline is a pretty minimal bar for schools to hit since all they had to do was send in an application. The real test will come October 10. By that date, the 199 schools seeking accreditation elsewhere will have to show they had a site visit from a new agency—a sign that the accreditor is seriously considering accepting the institution. Those that do not will lose access to financial aid for new students and must submit a letter of credit—basically, a financial guarantee of a certain sum of money—to the Department of Education to cover expected costs if an institution closes. How many schools can meet the visit requirement will provide a more telling picture of what’s going to happen to these institutions. *Author’s note: These data are based on U.S. Department of Education databases and FOIA requests and are available here**. ** Update, June 16, 2017: The U.S. Department of Education data incorrectly listed the accreditor applied to by Bristol University. The Excel file has been updated to remove reference to that accreditor.